Our Wednesday costume includes a short black dress with a large white collar and large white sleeves and a belt. 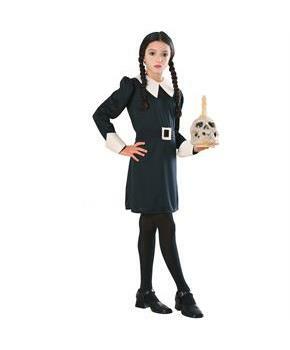 Tights and Skull prop not included. 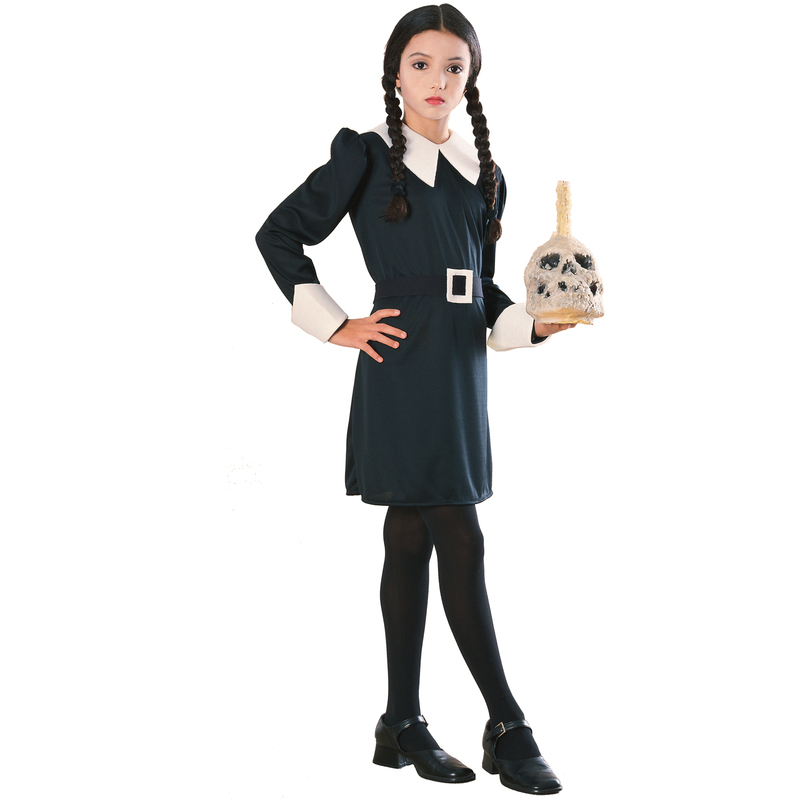 This is an officially licensed costume from "The New Addams Family Series™".